To start, we would like to explain a bit of the work that goes into making our pop-ups a reality, while noting that each is a bit different. Besides running Restaurant Noma, planning and organizing every detail of our residency in Mexico is what takes up every bit of our spare time, and we have two full-time project managers for a year to coordinate all the moving parts. First, we set out to make our team of over 60 people happy. We handle all the everyday logistics for everyone, the small details we all take for granted at home. Everything from visa applications, a doctor’s appointment and daily transportation (we are renting bikes for everyone, which is a demand from most of our team), to providing and funding apartments for everyone. Providing airfare for the team, finding schools and day-care for all our kids, and ensuring a Danish wage standard no matter where they are in the world. 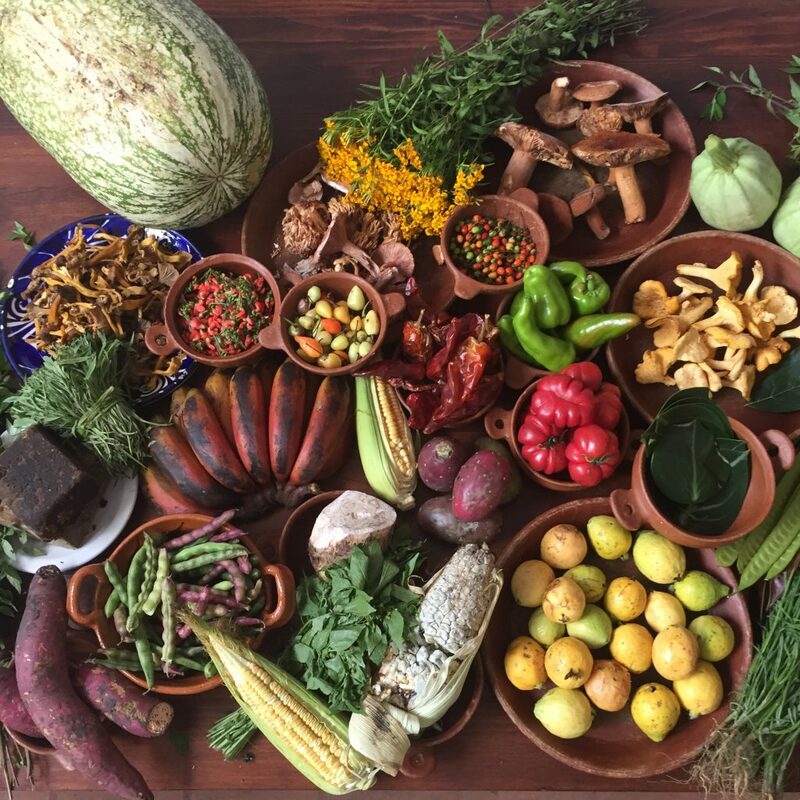 Then there is the restaurant itself, starting with months of research, which has been especially important this time since Mexico is so diverse. These long trips both inspire our menu and help us find special people to work with. We seek out artisanal producers to grow our cilantro and fresh tomato, and craft our plates and tableware. This time, we are helping build the restaurant from the ground up, which is a first for us. Everything from the structure, electricity and plumbing, to the kitchen equipment, the furniture and more. We’re making special effort to work only with local designers and makers to source original pieces for the restaurant. We can proudly say that these collaborations make a difference to a lot of the people we have been working with. These details are everything to us; they are essential to what makes us who we are in Copenhagen, and are possibly even more important when we pop-up as visitors in other places around the world. These travel experiences are simply some of the most amazing that we have ever had. Personally and professionally, the pop-ups we’ve done so far have been the highlights of my life, and that is why we keep coming back for more. To learn and be challenged, to build bridges to cultures that are different than ours, to connect with the team in a profound way, and to explore life’s opportunities. We have come to understand that this strengthens us and makes us better at what we do. We believe that the future of Noma and the development of our future requires more cross-pollination, more friendship, more expansiveness and not isolating ourselves in the cold north. This is what motivates us. Nothing else. Some people ask how we fund such an undertaking, and it is very difficult. For instance, one of our partners pulled out just last week, because of the sudden drop in the peso and the tense economic situation. Did that impact our pricing? Yes. However, we are lucky to have our great partners American Express and Colibri Boutique Hotels. They play a big role in making this happen, but most of the undertaking falls on Noma. For Mexico, this is especially the case. All expenses related to getting us here and setting up lives for our staff also influences how much we end up charging. Yet, after these hard decisions are made, we truly believe that what we are doing here is great for our team, good for the artisans who we work with, and we can promise that every single dime, every working hour possible, and all our effort goes to making our guests happy, and creating something unique for the people who have been following us for 13 years. Stay tuned for more details on what it takes to create Noma Mexico!